Melvin H. Weinswig, a native of the Boston area, received his BS and MS degress in pharmacy from Massachusetts College of Pharmacy and a PhD in pharmaceutical chemistry from the University of Illinois. He served on the faculty of the College of Pharmacy at Butler University before coming to Wisconsin. Weinswig joined the UW staff in 1969 as a professor in continuing education for pharmacy professionals. He became chair of Extension Services in Pharmacy, helping turn the school’s program into the largest pharmacist retraining program in the nation. He served as interim dean for nine months before being chosen to lead the school in 1995. Weinswig also oversaw a fundamental transformation in the school’s curriculum. 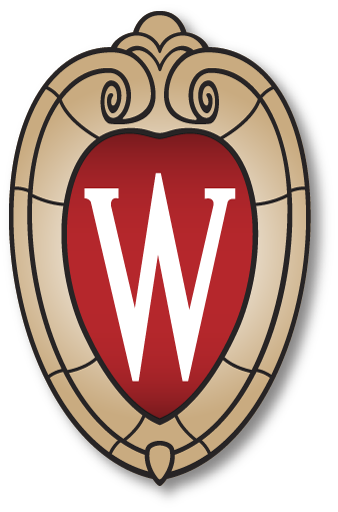 Reflecting the changing role of pharmacists in today’s health care, the UW adopted a four-year PharmD degree. Weinswig has authored research articles dealing with synthetic and analytical procedures of drugs, continuing pharmaceutical education and drug abuse education. In addition to professional activities and organizations, he has been active in his Temple and other civic organizations. Joseph R. Robinson (PhD ’66) passed away on Monday, September 4, 2006 at the age of 67. Robinson was the Kremers Professor of Pharmacy in the School of Pharmacy and Professor of Opthamology in the Medical School of UW Madison. He received his BS and MS degrees in New York in 1961 and 1963 respectively, and his PhD from the University of Wisconsin in 1965. Robinson was a giant in the field of pharmaceutical sciences, probably the most recognized pharmaceutical scientist of our generation in the world. Indeed, Takeru Higuchi and Robinson were the most influential figures in pharmaceutics in the past forty years. Their leadership and vision changed the broader pharmaceutical field. In the last 30 years, Joe Robinson became the most vocal supporter of the physiochemical approach in the pharmaceutical field while stressing the importance of integrating biology. He was an inspiring speaker and an exceptional role model for all generations. Robinson was well recognized as an eloquent spokesman of the field and his plenary lectures at various recent meetings have become legendary. Professor Robinson’s contributions were in several areas of pharmaceutical sciences, notably ocular and vaginal drug delivery, protein transport, bioadhesion and controlled release formulations. He had 35 years experience in forming new companies and consulting with the pharmaceutical industry. He was founder of three successful public companies, InSite Vision, Columbia Labs and Macromed, and his research and development of bioadhesive polymers was utilized and commercialized widely. One of the most important contributions of Professor Robinson was as a mentor of over 90 graduate students and postdoctoral fellows, many of whom have become leaders in the industrial and academic pharmaceutical sciences. Robinson was himself an editor of the critically acclaimed French journal STP Pharma Sciences. He was also co-author of a number of great textbooks and monographs, including the pioneering 1978 book Sustained and Controlled Release Drug Delivery Systems, (Dekker), the 1980 Octular Drug Delivery (APhA), the classic Controlled Drug Delivery: Fundamentals and Applications (with Vincent Lee, Dekker, second edition, 1987), and numerous others. He was the author of 340 publications and gave more than 800 presentations. He was internationally known and beloved for his leadership, scientific integrity, character and unending enthusiasm. He had widely taught and was loved by scientists in France, Germany, England, Spain, Italy, Turkey, Japan, India, Korea, Singapore, Argentina and many other countries throughout the world. He was awarded honorary doctorates from the Royal Danish School of Pharmacy in 1992 and the University of Sciences in Philadelphia in 2003. He served as a distinguished lecturer of numerous institutions. Professor Robinson was also an inspiring leader of leading international organizations. He served as president of both the Controlled Release Society (CRS, 1991-92) and the American Association of Pharmaceutical Scientists (AAPS, 1992-93). In mourning his untimely death, the whole scientific world pays tribute to the most inspiring scientist of the last quarter of the 20th century whose seminal contributions shaped the field and led to the drug delivery explosion of the last ten years. His vision, advice, leadership, enthusiasm and wit will be missed dearly! Jerald A. Sveum, received his BS in pharmacy from the UW School of Pharmacy in 1967. His service to the school dates back to 1980 when he assisted graduate student Al Hanson and Professor Joe Robinson with compounding exercises in the dispensing lab. He was also a member of the Rennebohm fundraising team that helped raise $15 milliion, qualifying the school to receive matching funds from the state of Wisconsin. Sveum spent his working life in the Beloit area as co-owner of the Grand Avenue and Doctor’s Park Pharmacies. His dedication to his practice and business is seen through his continuous involvement in new and innovative changes in his pharmacy as well as the excellent opportunities he provided for his staff. In addition to being entrepreneur in community pharmacy practice, he was a consultant to the Federal Office of Pharmacy Affairs, Bureau of Primary Health Care. It was this focus that allowed hiim to publish and be an invited speaker for national primary care organizations addressing 340B Contracted Pharmacy Arrangements. He served as president of the Rock County Pharmacists Association in the ’70s and was also active in the Wisconsin Pharmacists Association from 1983 – 95, holding offices of district director, treasurer, president and chairman of the Board. For more than a decade he has been on the Board of Trusteees for the American Pharmaceutical Association. Sveum has been the recipient of several major awards including the Pharmacy Society of Wisconsin Bowl of Hygeia Award (2002) and the Wisconsin Pharmacists Association Distinguished Service Award (1997), both recognizing his outstanding and sustained contribution to the profession of pharmacy. Previously he was honored with the NARD Leadership Award (1993) and the McKesson Leadership Award (1993). He has been a dedicated member of the Rock Aqua Jays, the American Red Cross of Beloit (receiving the Outstanding Board Member Award in 1990) and the Chamber of Commerce Greater Beloit Ambassadors Club. Arnold J. Repta transferred to UW-Madison in 1963 from UW-Milwaukee where he had studied pre-pharmacy and completed his first year of pharmacy school. In Madison, he earned his BS in pharmacy and went on to earn MS and PhD degrees under the guidance of Professor Takeru Higuchi, PhD. After graduating, he took a position as assistant professor of pharmacy at the University of Kansas, Lawrence, KS, where he achieved tenure and professor status and served more than 17 years on the faculty. In addition to his service activities and teaching at both the graduate and undergraduate levels, he conducted research and published more than 100 articles. He supervised and mentored graduate students in both the MS and PhD programs. In 1983, Repta became the executive director and then president of InterX Research Corporation (a druge delivery technology company also located in Lawrence, KS) a wholly owned subsidiary of Merck and Co., Inc. In 1994, he relocated to Wilmington, DE, and became vide president of analytical and pharmaceutical development at the Dupont-Merck Pharmaceutical Company (later Dupont Pharmaceuticals). During his tenure in Delaware, numerous drug products were developed including the anti-HIV drug SUSTIVA. After the acquisition of DuPont Pharmaceuticals by Bristol-Meyers Squibb in 2001, Repta went on to become vice- president of research and development at Inhale Pharmaceuticals (now Nektar Therapeutics) in San Carlos, CA, where he remained for more than two years. Repta is a fellow of both the American Pharmaceutical Association and the American Association of Pharmaceutical Scientists and is an author/co-author of more than 20 patents. Throughout his career, Repta has been very supportive of the UW School of Pharmacy, both financially and as an alumnus. He has encouraged numerous students to enroll in graduate and undergraduate programs at UW-Madison, which he contends is one of the premier universities in the world. Since 2003, Repta has been living in Park City, Utah, and has been active as a pharmaceutical consultant and skier. He is married (44 years) to Barbara Repta and they are the parents of two children who also live in Utah.